Cattle ranching and beef production are major parts of Okanogan County’s economy, culture and landscape. If you’re a beef producer in Okanogan County, or are interested in beef production, please bookmark this page and visit it often for the latest information, publications, and programs related to beef cattle production. Producing wholesome, quality beef requires that the animals we raise are free from disease, and growing and performing optimally. Herd health refers to the prevention of disease, treatment of disease, and perhaps most importantly keeping our beef animals thriving and performing as we want and need them to perform. 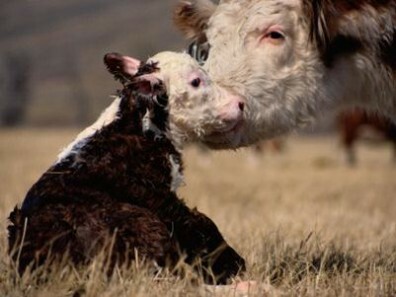 On this page we will place information and links that will assist you in maintaining healthy beef animals from birth to harvest, including all stages in between. Vaccinations, herd hygiene, testing, culling, and many other aspects of management to maintain good overall herd health will be covered on this page. Reproductive efficiency is one of the most critical aspects of maintaining a successful and profitable beef cow/calf operation. Heifers must reach puberty on time, cows need to breed back on time each year, proper calving intervals must be maintained, bulls should be tested for fertility, cows and heifers should calve with minimal difficulties. 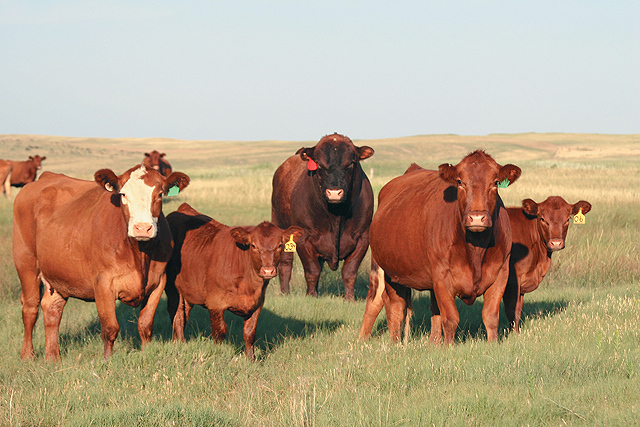 These are a few of the basics that go into managing reproductive efficiency in beef operations. 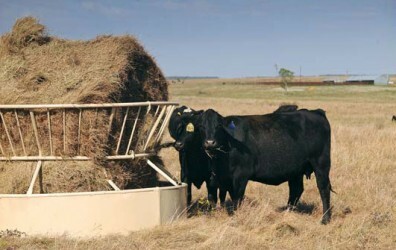 Feed costs are by far the largest expense in beef production, and therefore many people try to save money in raising cattle by buying cheap feeds. However, cheap feeds may be no bargain when you look at the nutritive value they contain. While it is important to keep production costs low, maintaining adequate nutrition for maintenance, health, growth, and reproduction it critical in successful beef production, whether it be a cow/calf operation or a feedlot.